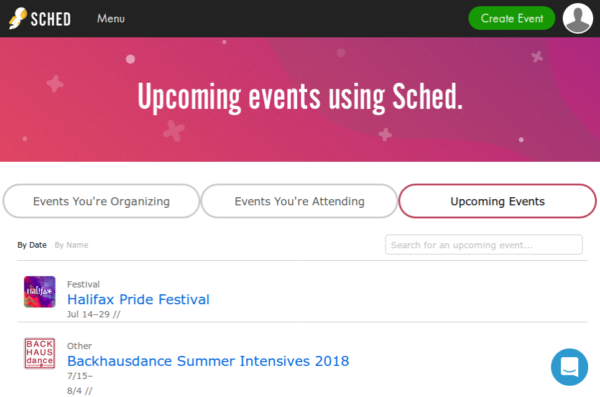 Sched.com is an event scheduling app which supports single-track meetings to global conferences and festivals. This article describes shortly how to display a sched.com event in Meeting Room Schedule display. Log in to your sched.com account. Click on the icon which says ‘Mobile app +ical’ on the top right corner of the page. Copy the iCal url for your schedule. Steps to connect to Meeting Room Schedule. Install the app and register with a valid email address. Copy the iCal url here and click Save & Exit. 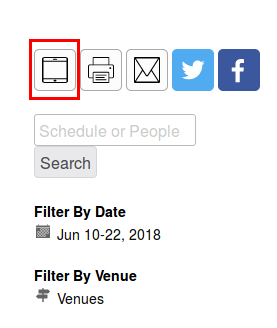 If you find any mismatch in the time displayed in the Sched.com and Meeting Room Schedule, please confirm that the timezone is set correctly in Sched.com. If you are the admin user of the Sched.com account, follow the below steps to verify the timezone settings. Login to your Sched.com account. If you do not have admin privileges, please contact the administrator of the page and verify timezone settings.